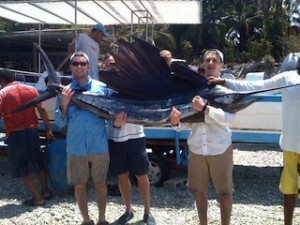 Your Costa Rican Vacation team are dedicated to making your holiday in Costa Rica as perfect as possible. We are here to offer you not only a beautiful home in which to spend your time but all manner of personal touches and local tours to make the experience the ultimate holiday. Always wanted to do a canopy tour above a rainforest, deep sea fishing or some horseback riding on a glorious beach watching the sunset? Upon booking Casa Vista, the team will email you with a list of goodies that we can go and pick up for you to make sure you have everything waiting for your arrival (eg: coffee, milk, peanut butter, freshly baked wholemeal bread, homemade lasagne etc etc etc). Whilst at Casa Vista, you will not need for anything – we can arrange car or quad hire, a personal driver, a personal cook, daily housekeeping, massages and even a babysitter. The house provides sea kayaking and snorkling gear for trips to the many rock pools. Further afield, we can arrange local tours on horseback riding, a zip wire canopy tour, deep sea fishing as well as recommend mountain biking routes for the more adventurous guests. 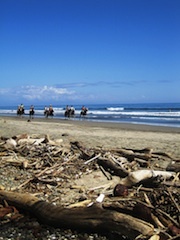 We also offer tailor made package s for surfing, yoga, horseback riding and spa holidays, and personal tours of the local area and the rest of the Nicoya Peninsula, taking you to places off the main tourist drag. We can also arrange personal tours around the entire country. All of your Costa Rican vacation can be arranged when you contact dahlia by email on dahlia@costaricanvacation.com, or at + 506 2640 0698.